Brandy-Lee Maxie has struggled through homelessness, racism and the trials of being a single mother. That persistence and never say die attitude are key attributes of entrepreneurs, and fittingly Maxie recently won first place in the Saskatoon Tribal Council's 3rd Annual Mino-Bimaadiziwin Youth Business Plan Competition. The competition is geared towards First Nations youth to encourage the growth of new and existing businesses. From left, Saskatoon Tribal Council Vice Chief Mark Arcand, Leanne Bellegarde of PotashCorp, third place winner Nathan Kaye, first place winner Brandy-Lee Maxie, second place finisher Devon Fiddler and Rick Stephanowski of SIEF. "Winning the STC business plan competition really helped me realize how much work I have put into my business planning up to this point," said an exhausted Maxie, who has been on the road and participating in other business plan challenges since her big win. "Applying what I've learned after 1 and a 1/2 years of participating in business plan competitions it was nice to win and to be able to share it with my family. I feel pretty grateful for this opportunity, and for the money." Maxie of White Bear First Nation took $5,000 for first place for AB Original Health & Fitness. The company designs and delivers licensed, culturally inspired, Elder-approved dance fitness classes. Self-esteem and diabetes workshops support individual's fitness goals by providing the education and tools necessary to make healthy, preventative lifestyle choices. Devon Fiddler of Waterhen Lake First Nation won the second place cash prize of $3,500 for SheNative Inc., a uniquely local and culturally stylistic leather handbag company. 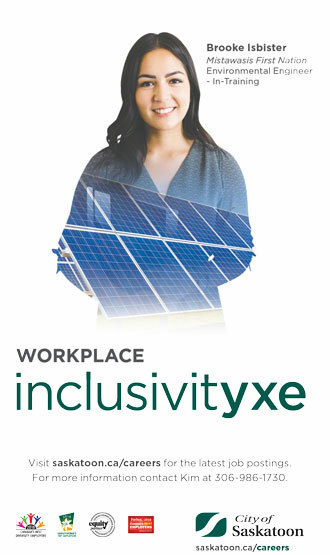 The company will give back to the community by employing women living in Saskatchewan. Nathan Kaye of Sakimay First Nation took third place cash winnings of $2,500 for his company, Sports Entertainment Travel Tours, an online sports tourism travel company designed for NBA, NHL, MLBS, NFL and CFL sports enthusiasts. The event was made possible by the support of the Saskatoon Tribal Council and PotashCorp. "We need to invest in our youth and encourage them to take their place in business in Saskatchewan," said STC Vice Chief Mark Arcand. "And judging by the entries in this contest, the future is bright." Leanne Bellegarde is the Director of Aboriginal Strategy for PotashCorp, and she knows how we all benefit from an engaged Aboriginal business community. "PotashCorp is always looking to enhance the business community in Saskatchewan and more so now in the Aboriginal community," said Bellegarde. "We will need more suppliers and diverse suppliers into the future and we believe that investing in contests like the Mino-Bimaadiziwin Youth Business Plan Competition will certainly pay us back long into the future." Good business people are passionate about what they do, and Devon Fiddler is no different. "Living in my passion and my vision is the most rewarding for me being self-employed," said Fiddler, who wants to sell millions of hand bags and to empower First Nations women to own their own businesses. "I wake up every day since I've starting trying to start up full time, actually wanting to get out of bed and work. And I don't limit the hours to during the day. I'm obsessed with the business. It's all I want to talk about everyday to anyone that will listen! It's exciting and I'm obsessed!" Maxies business strikes right to the core of several health issues in the First Nation community. "North America wide, diabetes and heart disease are ravaging our people's health at alarming rates. I think now is a great time to become a fitness professional in First Nations communities," said Maxie as she reflected on her vision. "I think this business will succeed because I have enough passion to create healthier First Nations communities. I have really stepped out of my comfort zone to be what I was raised to be, an entrepreneur. I decided that I want to build my own dreams and I have a vision that is now rapidly turning into reality, so hard work pays off."